This weekend we threw a cowboy roundup for our little Lone Ranger’s seventh birthday party. 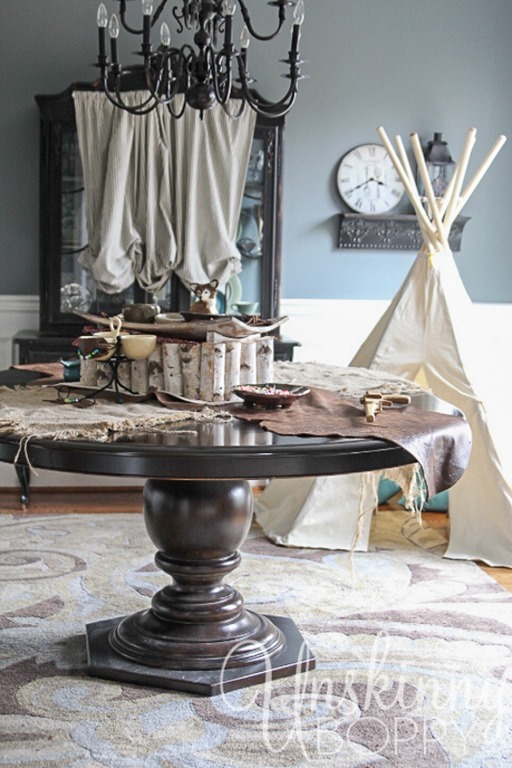 The decorations are always my favorite part of a party, and this year was no different. 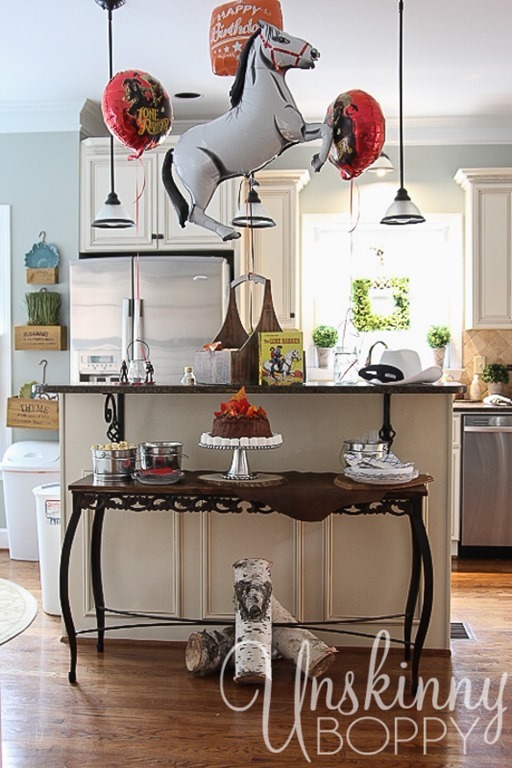 Since our lives are CrazyTown right now I tried not to let myself go overboard, as I am capable of doing with parties. But, in the end I kinda did go a bit overboard anyway. Oh well. 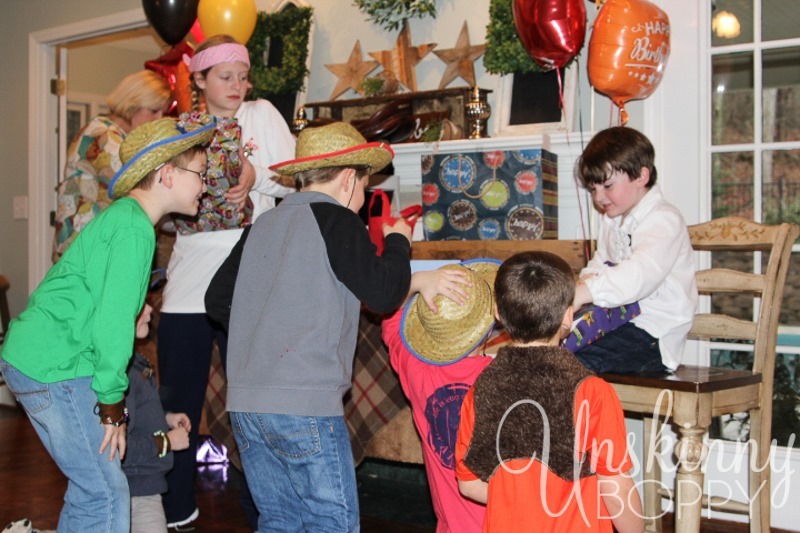 Throwing fun parties is one of my most favorite things to do, and my boy only turns seven once, right? In an effort to keep it simple(ish) I decided to buy some premade decorations online and string ‘em up instead of DIYing very much. There isn’t that much Lone Ranger themed party stuff out there anyway, so anything cowboy party themed was good enough for me. I did find some Lone Ranger balloons on Amazon, so those were front and center on the food table. 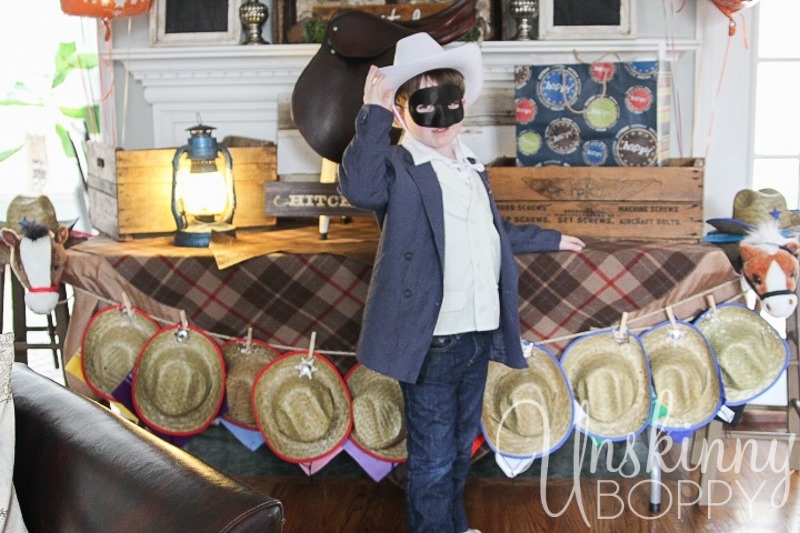 Garrett watched the Disney version of The Lone Ranger on New Years Eve last year and just loved the movie, so that’s when this idea for the theme party was born. Even he couldn’t resist Johnny Depp as Tonto. I did buy a copy of the old school Lone Ranger Little Golden Book just for some nostalgia. The food was super simple—I ordered a bunch of Papa Johns pizzas, picked up some Publix fruit and veggie platters and put out some drinks. Easy peasy and perfect for the 7 year old crowd. The one thing I did let myself go crazy with was the cake. 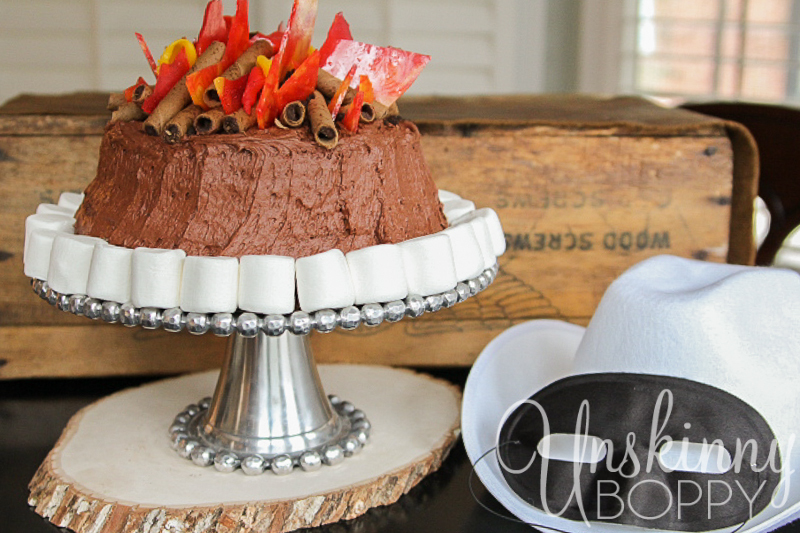 I found this CUTE campfire cake idea on Pinterest from the Hallmark website, and I decided to go for it. 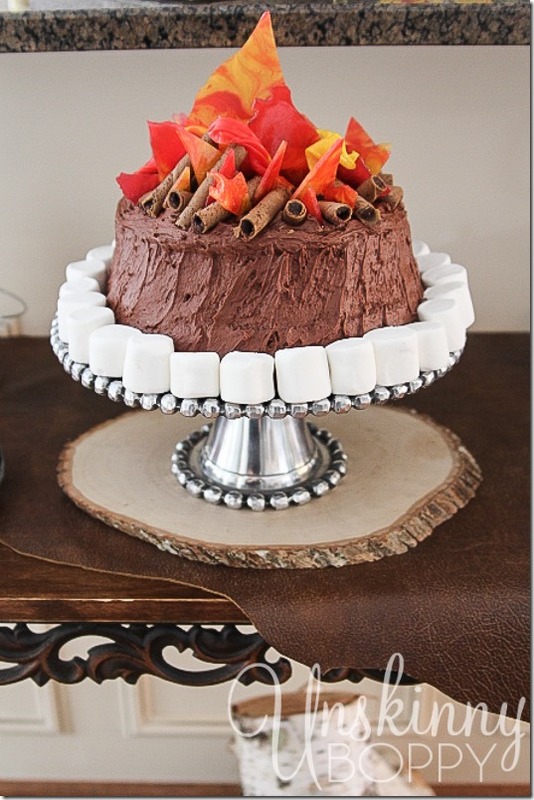 I also saw where this blog had made one with marshmallows around the base, so that gave me even more inspiration. 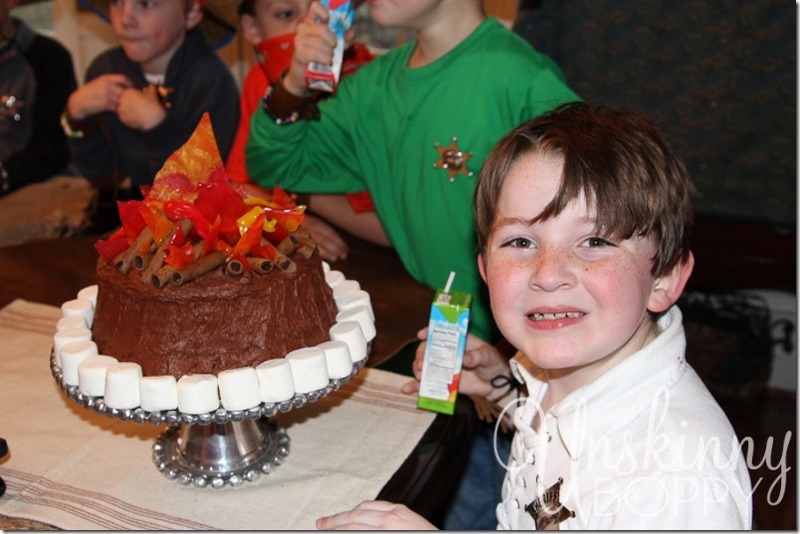 This cake was a HUGE HUGE hit with everyone. But, I just wanted to clarify that I had nothing to do with the idea for the cake—it was completely inspired by photos I found on Pinterest. 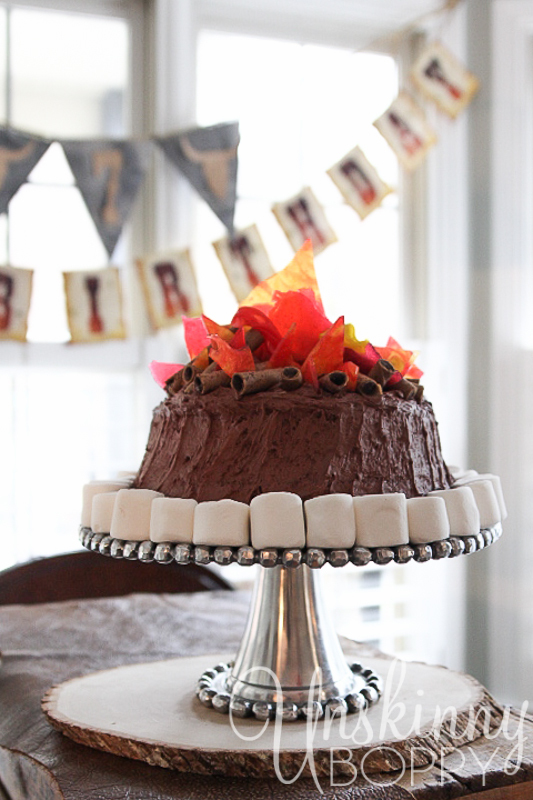 To read the step-by-step of how I made the flames, click here! That fire, though? Amazing. It was surprisingly simple to make, too! Go read that post to see how easy it was! And here is the homemade chocolate buttercream recipe I used. YUM. Besides pizza and fruit trays I just scattered around a few galvanized buckets of kettle corn and candy for people to snack on. The back was filled with “gold”- Hershey nuggets, Rolos and butterscotch. 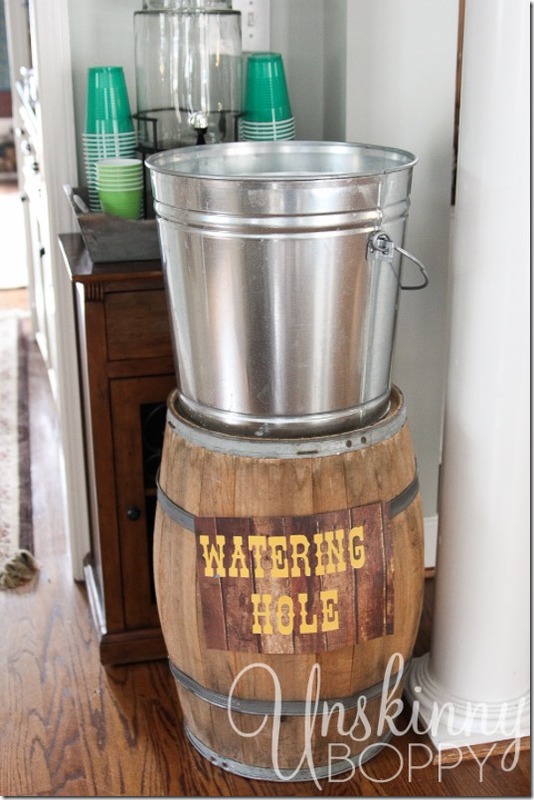 Ice and drinks were stationed over at the “Watering Hole” on a barrel with another galvanized bucket for ice. 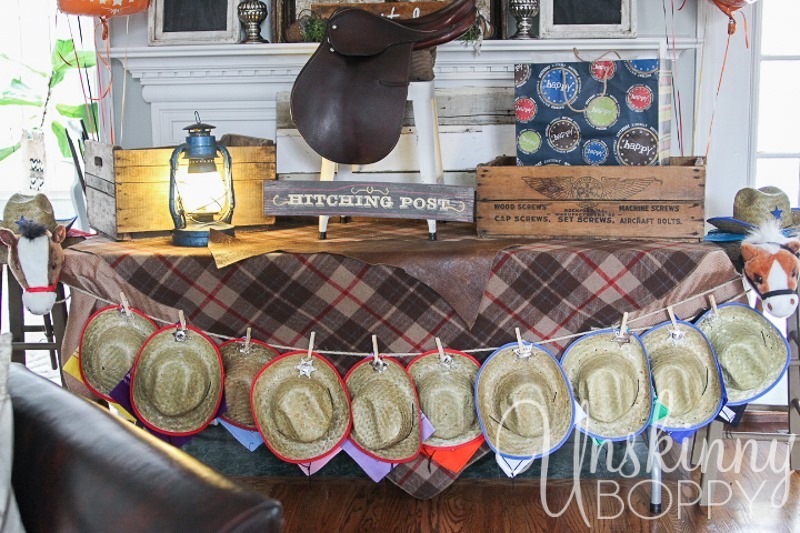 As each kid arrived they got to pick out their cowboy hat, bandana (in different colors) and sheriff’s badge. We “deputized” them when we pinned on their badges. 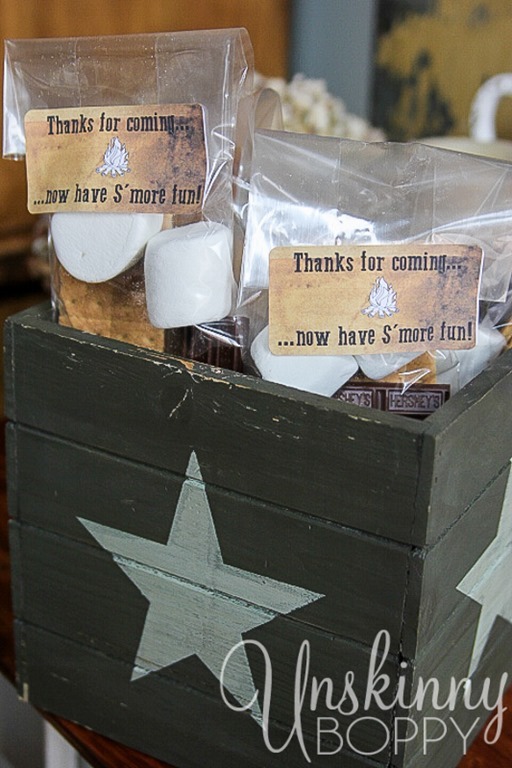 As they left the party they all got a favor bag with individual s’mores fixings. 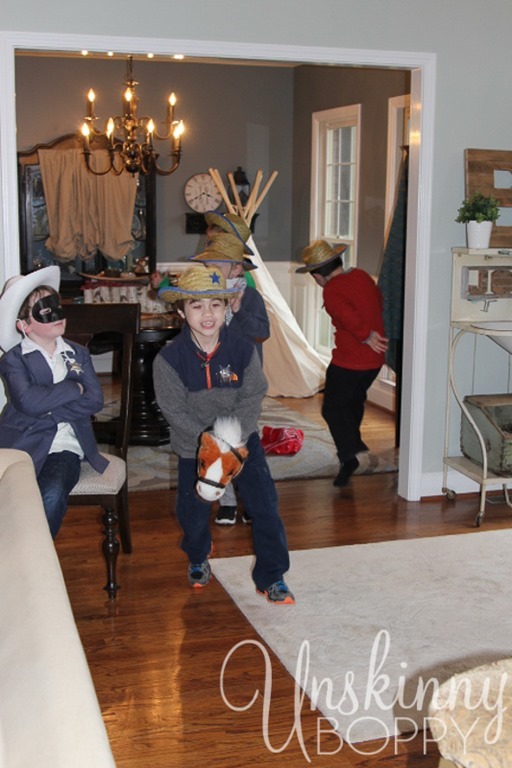 With eight first and second grade boys in attendance I’m pretty sure they would have been happy doing nothing but chasing each other around with Nerf guns and Minecraft swords for two hours, but we kept wrangling them up to play games anyway. 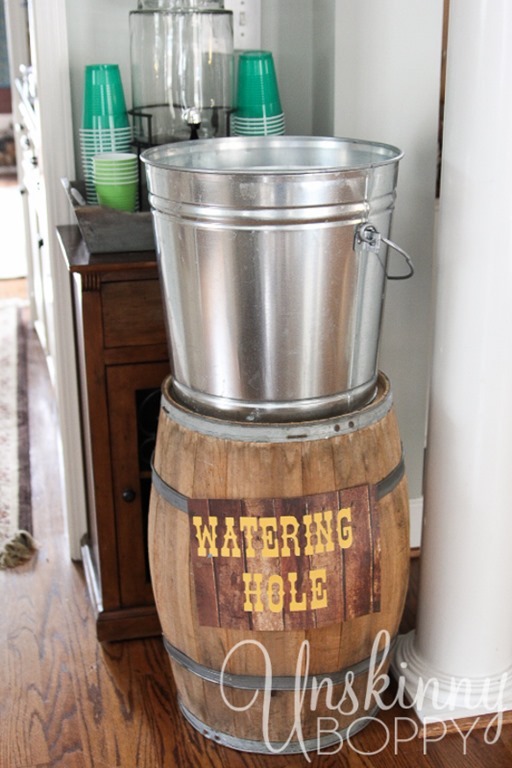 The first game was “Barrel racing” where they divided up into two teams (red hats versus blue hats) and rode stick horses around the barrel (actually a barstool) while the Lone Ranger theme music blared in the background. They handed off the horse to the next person after they made the loop. I told them to race until the song ended, but I didn’t realize the William Tell Overture is literally like ten minutes long so after about six minutes of running they were sweating and I decided to give them a break. Luckily the pizza delivery man arrived right then and it was time to eat! After we ate, we played another fun game called “Bounty Hunter”. 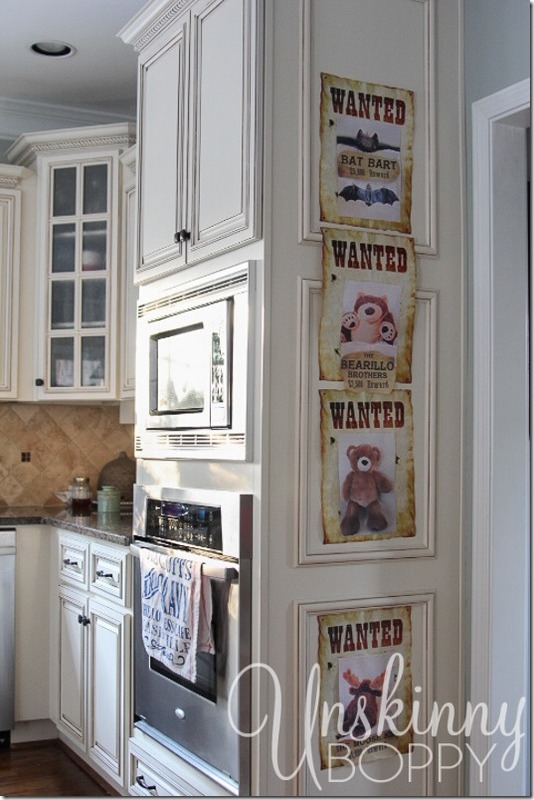 I had take pictures of four of G’s stuffed animals and stuck them on Wanted Posters in the kitchen. Bat Bart, The Bearillo Brothers and The Moose Kid were hidden around the house with “loot bags” attached to them. As soon as we said “GO”, they boys all took off running to find the hidden bad guys. It took them a little while of searching, but eventually they were all caught and captured. 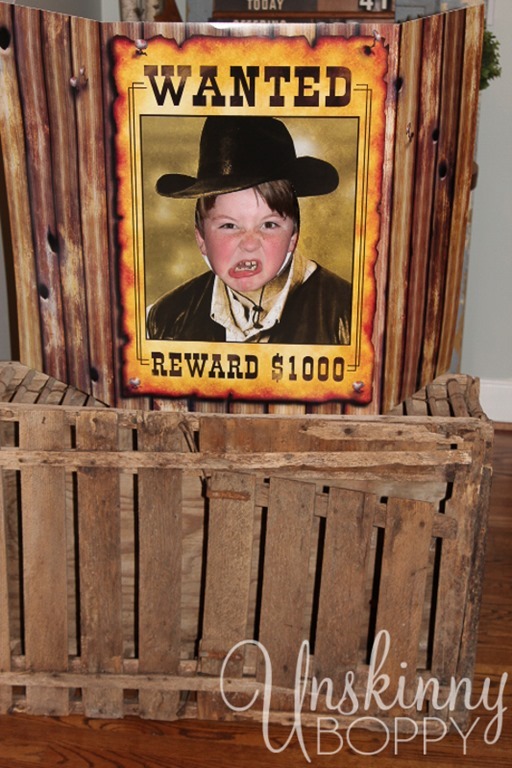 The loot went to the winner of each bounty. They loved this game so much they asked to play it again, but it was already pinata time in the garage. After they nearly knocked each other out swinging the bat and tackled each other for pinata loot, we took things down a notch and tried to calm the excitement with a fun craft. I stationed them all around the dining table where I had set up an Indian leather cuff making station. 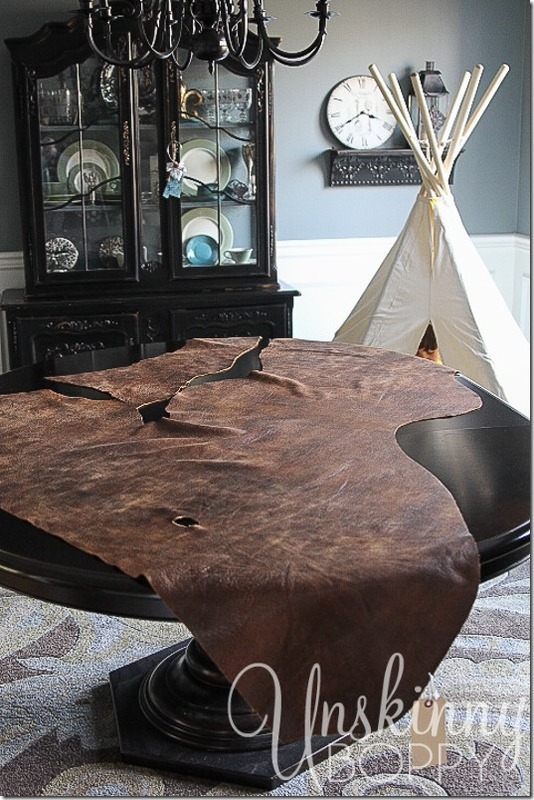 I gotta give a big shoutout to the Leather Hide Store for providing me with this GORGEOUS leather hide called Old Western Buckskin. Isn’t it amazing? And the smell… Mmmmm leather. The hide was so huge that I was able to use it on every single table as décor, as well as cut out 12 cuff bracelets for all the kids to make this fun craft! Rock on. 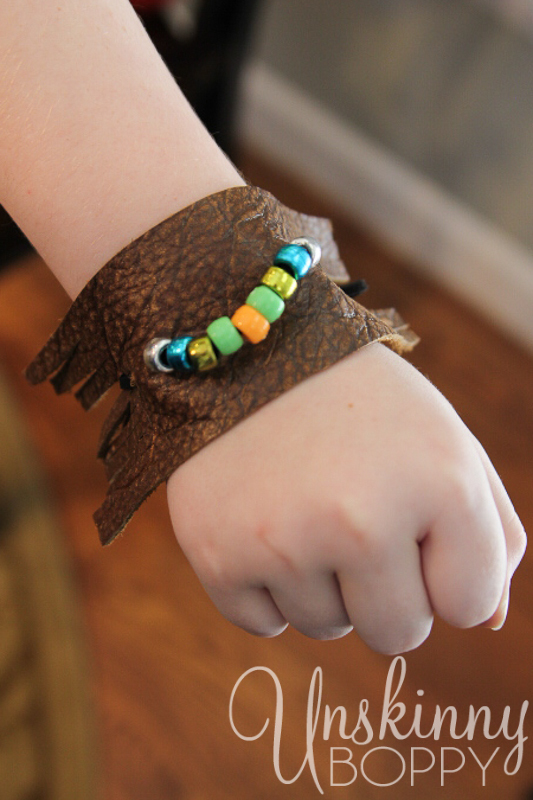 I will give more detailed instructions on how I made the cuffs in a future post, so be on the look out for that soon! But, in the meantime… BOOM. Here is the finished result. 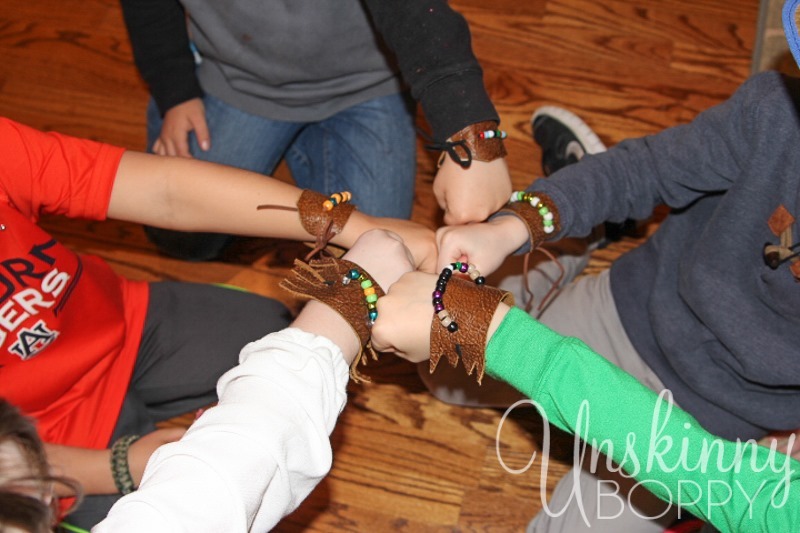 The kids all loved this fun craft, and the parents got involved in helping lace them up. It was a big hit at the party. After that? Cake and gifts of course! This photo kinda sums up those events…. they were like puppies jumping on a plate full of food. SO excited about gift opening time. 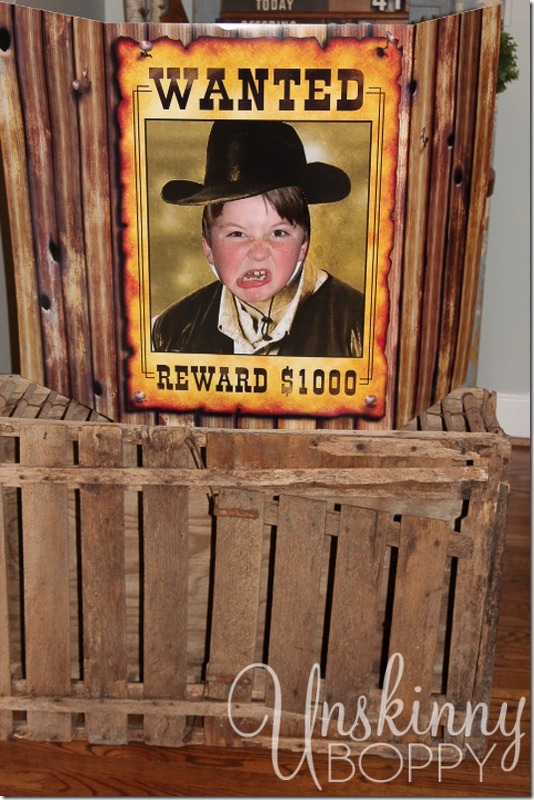 It was a great party, even if our little Lone Ranger traded in his white hat for a black one by the end of the day. 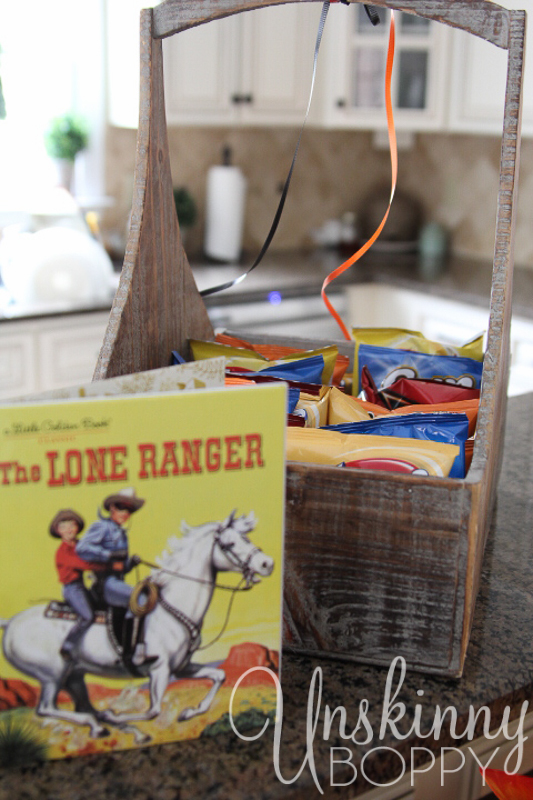 So, the Lone Ranger turned out to be THE perfect theme for a seven year old boys birthday party idea. The kids all loved getting to pretend to be cowboys, and luckily the supplies were pretty easy to find. I’ll link up my affiliate links below to a bunch of the premade stuff I purchased for the party in case you’d like to throw one yourself! Happy 7th birthday to my sweet boy! 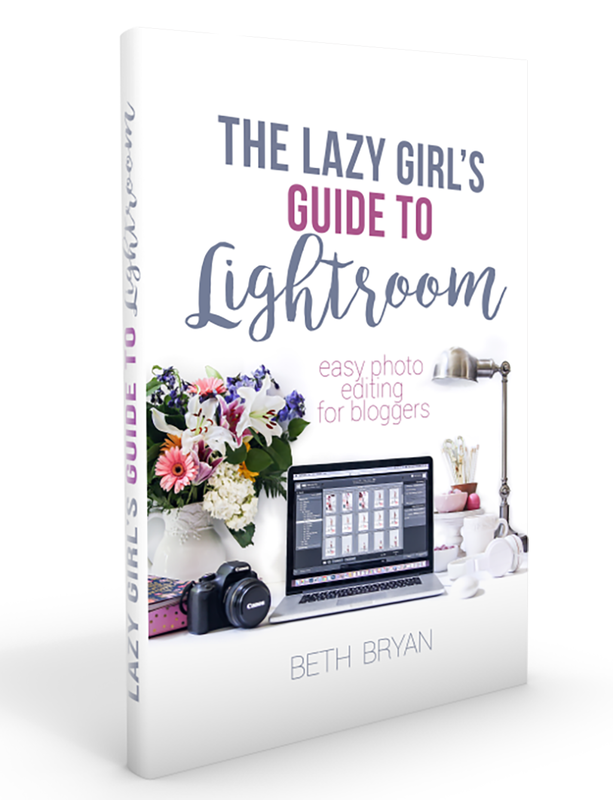 Oh my gosh, Beth! 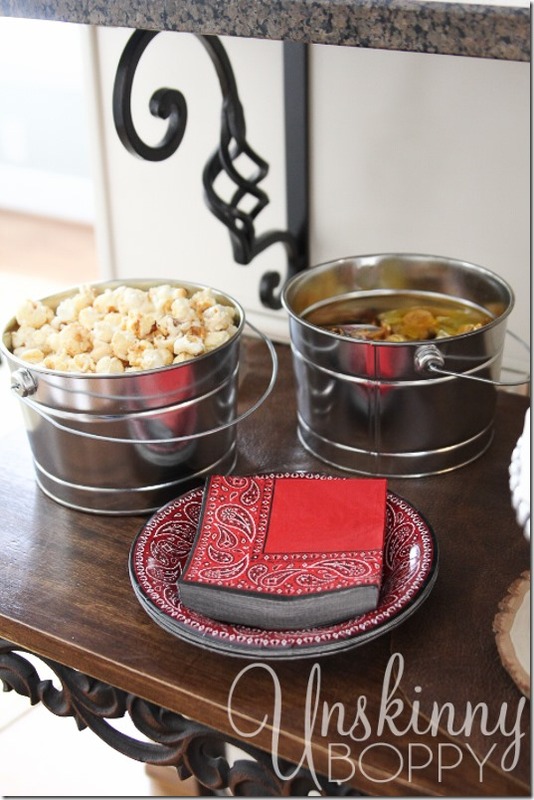 You are the BEST MOM and party planner ever! This was amazing! 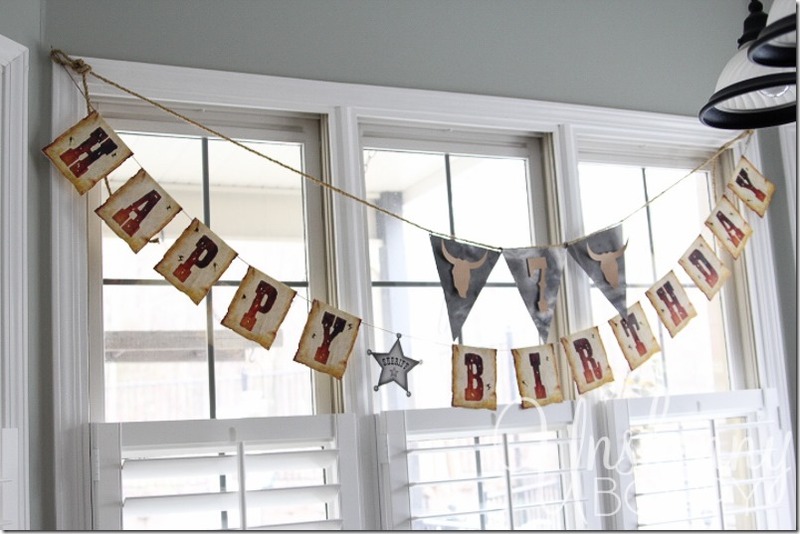 Cutest stinking party!!!! Loved the theme and all the activities. Sounds perfect. G is such a qt!! I love his sweet freckles. And you know that cake was amaze-balls!!!!! 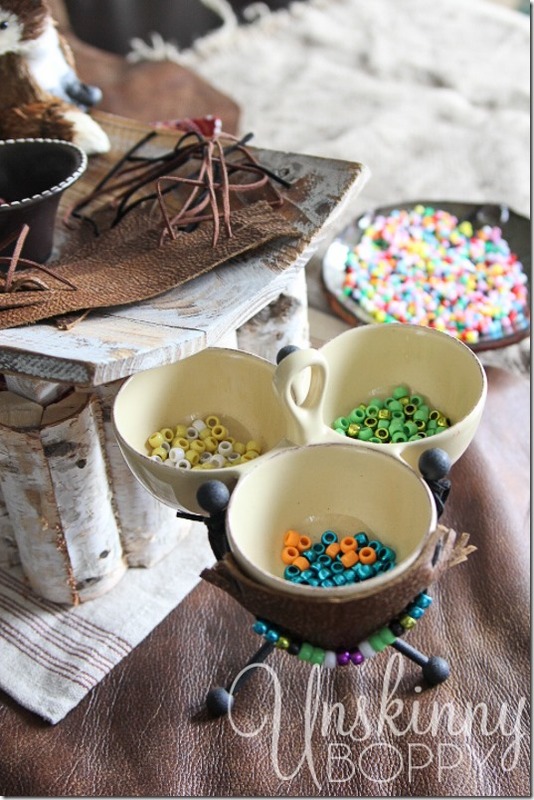 Pinterest inspiration or not. What fun! 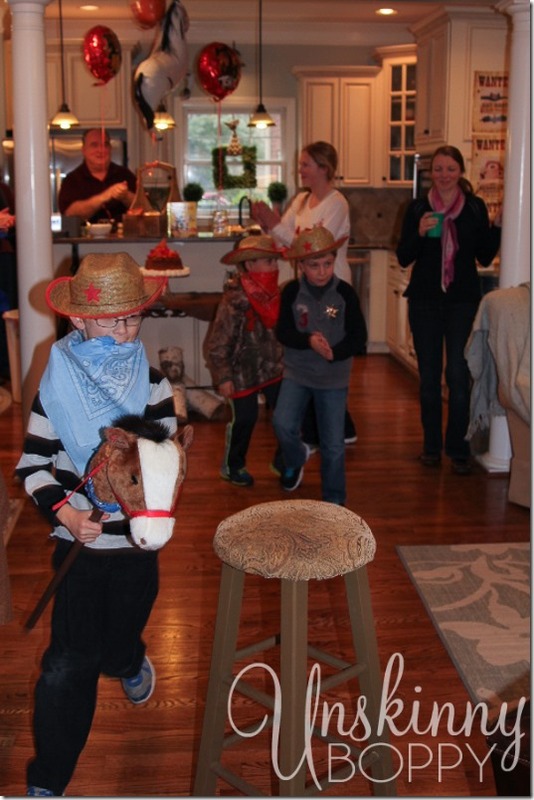 Love that last pic of G. And I spotted a gorgeous little cowgirl in a pink bandana! Those wanted pics are genius! I can hear the squeals just seeing the pics! Love it! 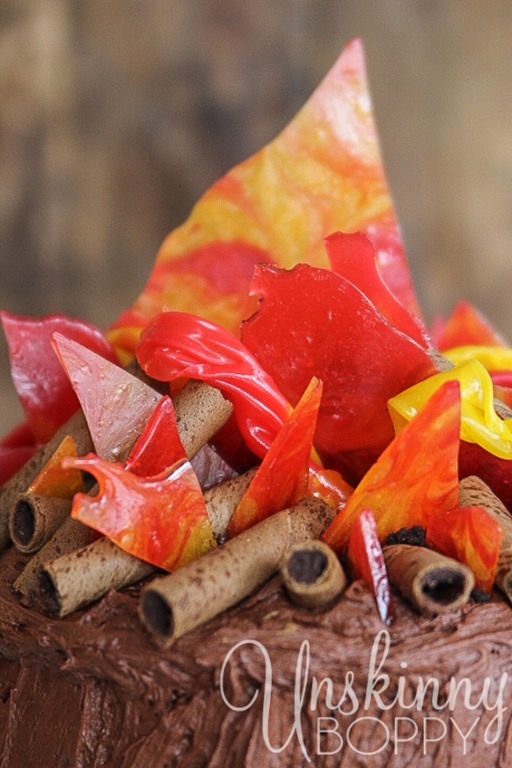 That cake is a show-stopper. 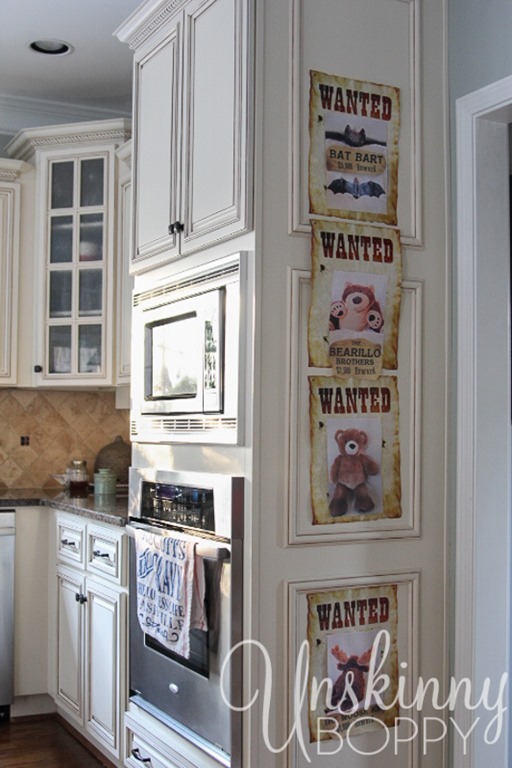 I love the wanted poster finding game, that is great! Pinning for my little cowboy! WOW Beth that cake is the coolest thing ever……you deserve to get Mother of the yr.
What an amazing party, one he’ll never forget!!! i loved the party themed. i am scared of stick horses so i would bring my 4 legged horse silver.